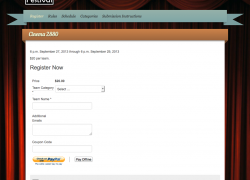 Public Media Network’s annual Cinema 2880 is a film festival like no other. 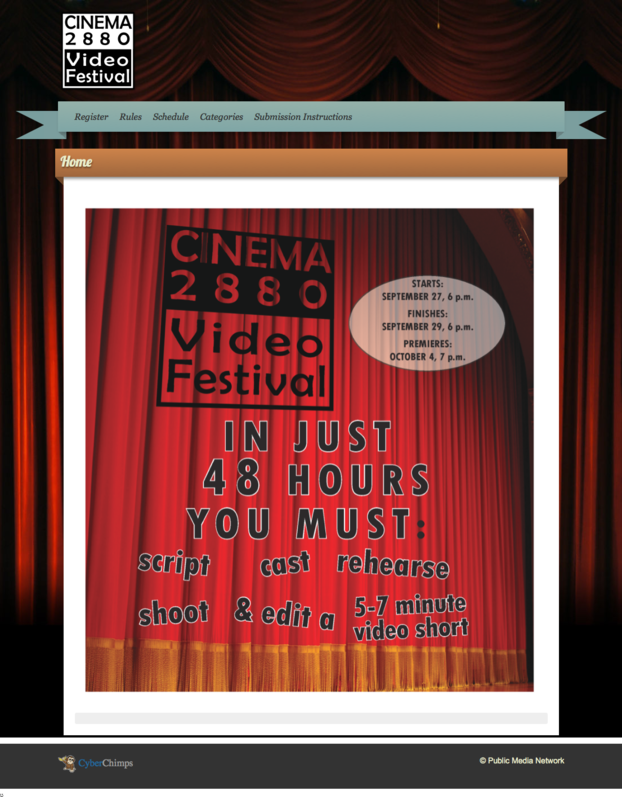 Participating teams have 48 hours (or 2,880 minutes) to write, produce and edit a short movie. The client needed a mini-site up and running, like, yesterday. I not only did that, but also incorporated a registration feature that allowed people to sign up for the contest and pay through Paypal. Unfortunately, it took me a little longer than 2,880 minutes. 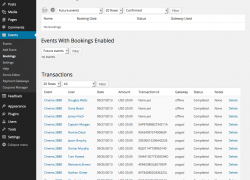 The registration consisted of a simple sign-up form with Paypal integration. The backend was meant to be as simple as the front. When logged in, administrators get a straightforward view of who has signed up.